Holy Lord, you have not abandoned our guilty race, but set the price of restitution and provided the payment. Upon his innocent head your Son wore the curse of our sin-soaked ground. Caught in a thicket of treachery, he sacrificed himself to free us from our fetters. Open our hearts to the love that bore such a cruel crown. 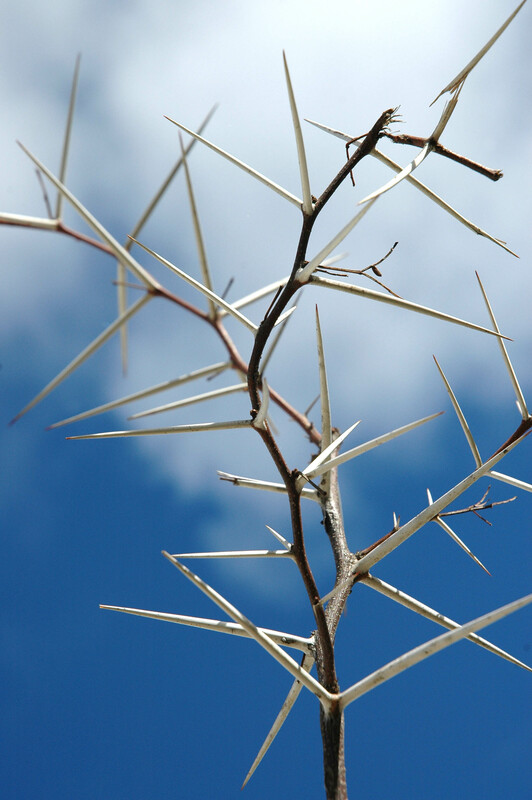 Remove the thorns that choke our faith and cause you pain. In Christ’s precious name, the Lamb of God pierced to make us whole, we kneel before you with grateful praise. This entry was posted in Christianity and tagged abraham, adam, bible, cross, crown of thorns, crucifixion, devotional, easter, hymn, prayer, salvation, scripture, thorn. Bookmark the permalink.